Environmental and Safety Solutions Inc. (ESS Inc.) is a Cincinnati based certified MBE. Since 2002, ESS Inc. has been providing health and safety, engineering, environmental technical and management services to businesses throughout the United States. 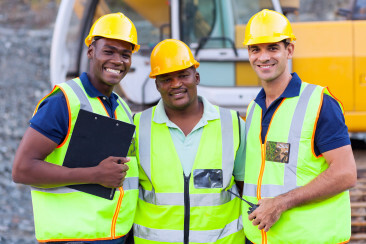 We work with businesses from Fortune 500 members to small businesses in the local community, providing world class occupational safety and health consultative services and environmental compliance assistance. Our customers value our personal attention to their needs and the accuracy and flexibility of our services to meet their unique needs. As President and Founder of ESS, Lonnie Grayson brings more than 25 years of professional environmental safety and health leadership to the company. He founded ESS Inc. in 2002 and has grown the firm into a nationally recognized industry leader. With a professional background as a mechanical engineer, Mr. Grayson knows the value of a safety and health program that focuses on the processes that drive the safety and health process in a company to achieve great results. We understand the need for partnership with our customers to fully understand their needs and the culture of each customer to meet and exceed their occupational safety, health and environmental compliance needs. These core values explain the heart of our founder and commitment of ESS, Inc. in providing “best in class” to its partners. These core values are part of the structure that supports our efforts. ©2015 ESS, Inc. All rights reserved.